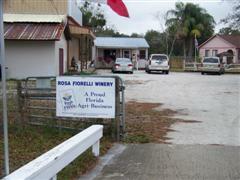 Rosa Fiorelli Winery is a family owned and operated business. It is located east of Bradenton, Florida in the rolling hills south of Lake Manatee. Rosa Fiorelli and her husband Antonio moved here from Sicily. They were struck by the similarities with their country. They started growing grapes on their property, and began making wine in a corner of their garage. From this modest start, they have grown to have a 10 acre vineyard and a 3,000 square foot winery. They have been in business for 9 years, and have already won 25 awards in international wine competition. There is one building for fermenting and bottling, and another building for retail sales and wine tasting. 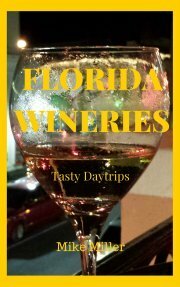 The winery offers free wine tastings every day from opening to closing. From I-75, take SR-64 east about 8 miles to CR-675. Turn right (south) on CR-675 and go less than one mile to the winery. For more information regarding special events and the winery's holiday schedule, call 941-322-0976.